After a decade, August reluctantly returned to his former job. Financially desperate and going through a divorce, he retreated to truck driving. After reading a book titled “Increase your financial IQ,” he found the inspiration to turn an idea into an asset. Smart Drive Test’s YouTube channel serves as the focal point for his successful online driver education business. 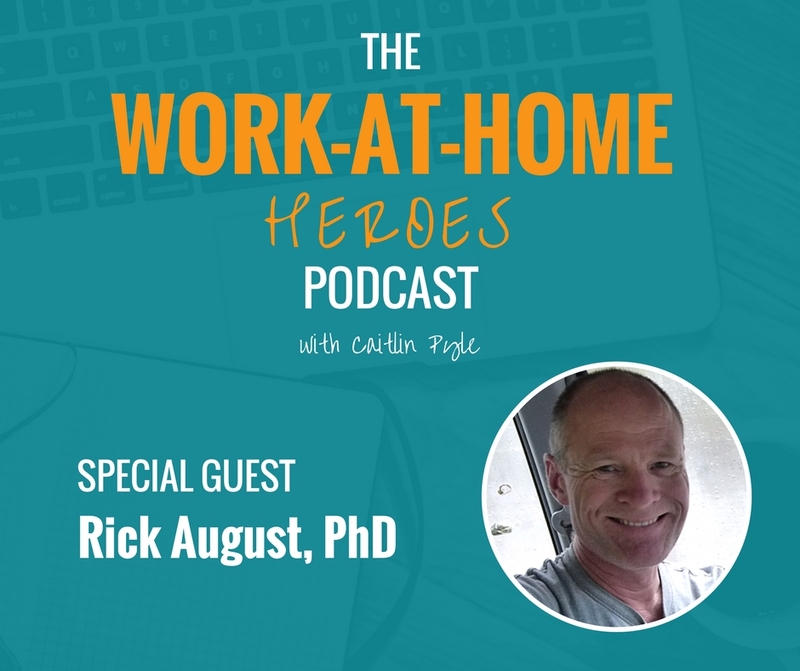 Read the transcript of The Work-at-Home Heroes podcast Episode 3 here. Join the Work-At-Home Heroes Facebook group! Check out the Work-At-Home School here! To email Rick August, Ph.D., click here. To visit Rick August, Ph.D.’s YouTube channel, Smart Drive Test, click here. Got a question for Rick about this episode? Head over to the Work-At-Home Heroes Facebook page and ask on this dedicated thread! Leveraging employee door-to-door sales skills to build an online business of your own! Hey, Rhoda! Thanks for catching the podcast! Isn't he amazing?! ;) I'm wishing you a speedy recovery so you can get back to doing what you love!